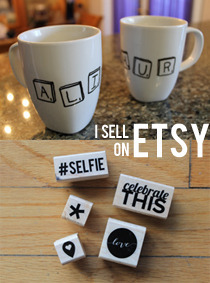 less is more: semi-personalized semi-DIY mug gift. 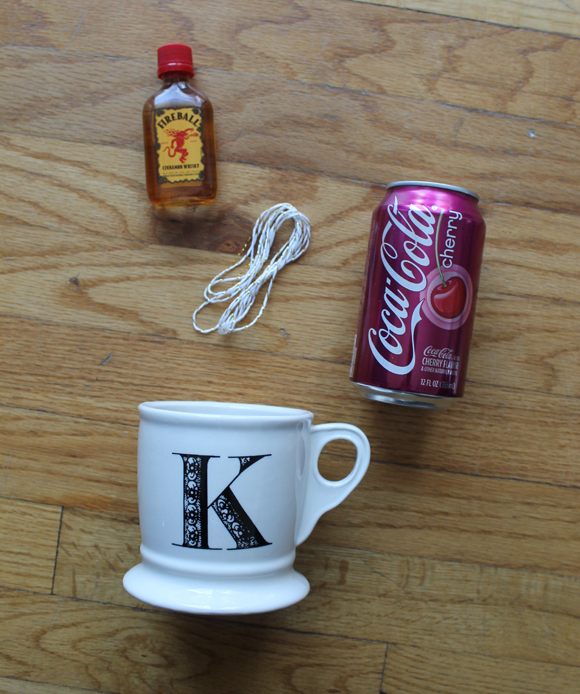 I saw a DIY on a blog ages ago that included a soda and mini bottle of alcohol, and the soda can was sitting in a mason jar. 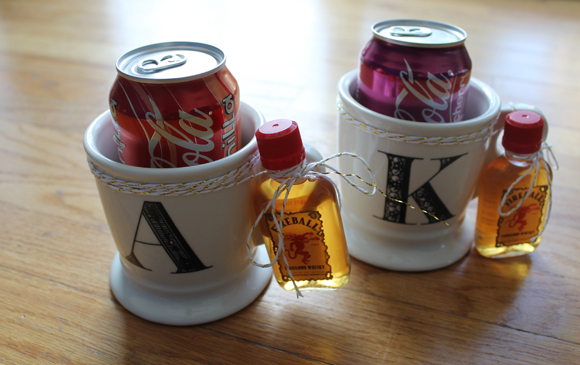 It was the cutest thing, and I thought that it would be such an adorable gift idea for a housewarming, or even just because. I finally had a bunch of mini bottles lying around (stocking stuffers from my roommate), and some soda (my roommate's boyfriends' cans), so I decided to give putting them all together a whirl. 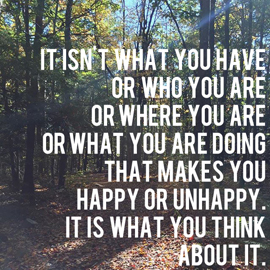 However, even though we have 4,920 mason jars in this house — we drink out of small ones, we make salads in big ones — I couldn't fit a can in the opening of any of them (I'm not sure what type was used in the post I saw all those months back. I could swear it was a mason jar, but I can't find the freakin' post). 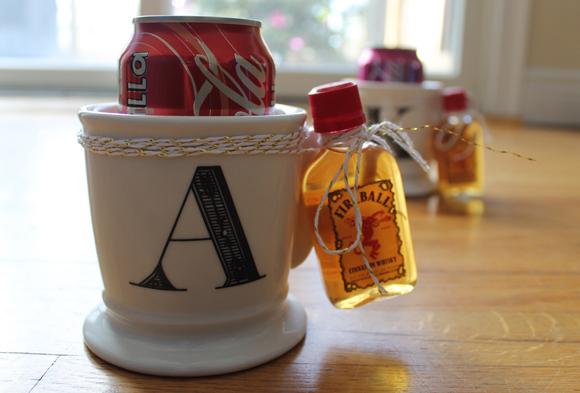 So to improvise, I used initial mugs from Anthro, which actually worked perfectly because they're one of the most common gifts I give people (even though I make custom ones, these are too classic to overlook). Once you have the mug/mason jar/drinking receptacle ready to go, you can use twine like I did, or ribbon, to attach the mini bottles to the top. If I were actually giving these two as a gift, I would have slipped a tag into the knot with a little note, and probably would've wrapped them up in a clear gift bag with some confetti. It's a small gift, but it's a sweet idea for little occasions or just to have something so as not to show up empty-handed to a party. Friends, you may see one of these puppies in your near future (spoiler alert).